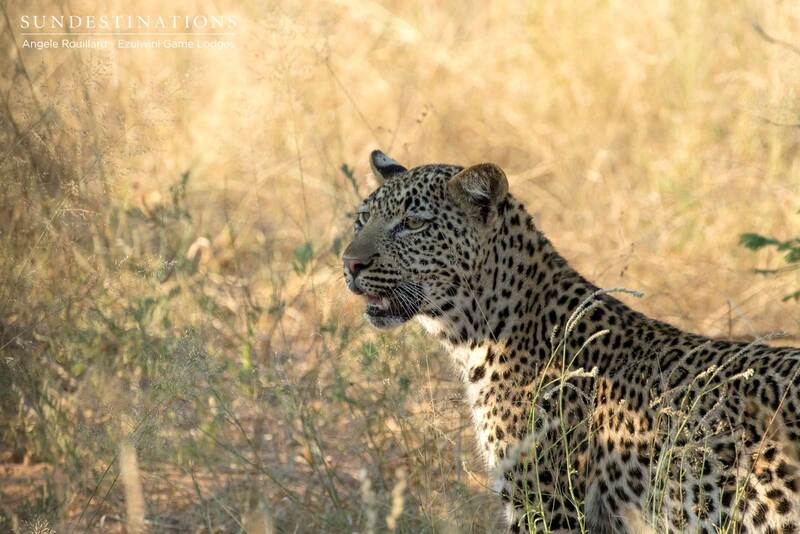 “He was first spotted on Olifants main during August last year. 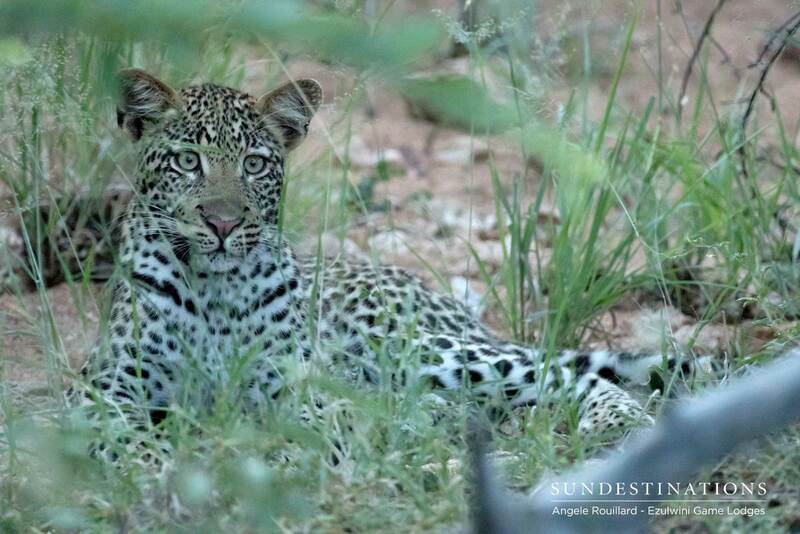 We were avidly tracking the Kudyela lionesses, and their movements must have startled this young leopard. The cub very quickly bolted up an apple leaf tree, and the lions never caught wind of the situation. The growing youngster has been spotted on and off over the past few months, and is currently quite habituated to the presence of the vehicle, seeing it as a non-threatening entity.” – Angele. 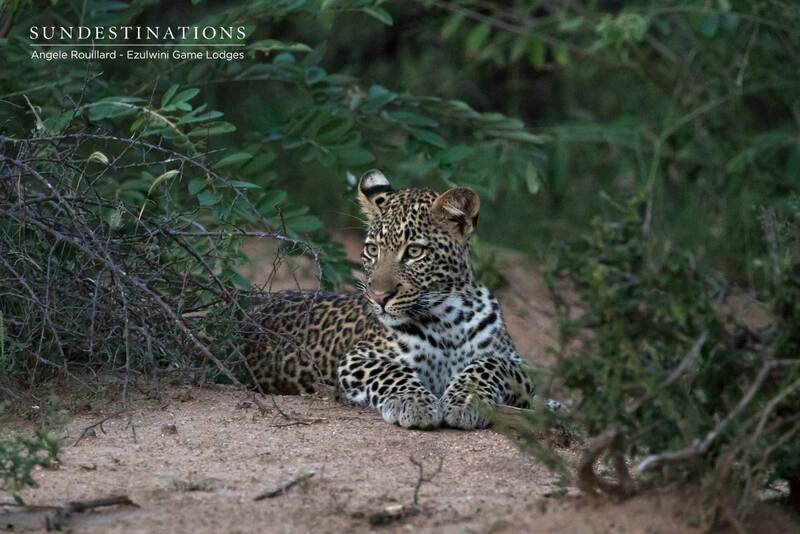 Read the below to find out the background info and the details regarding the recent leopard and leopard cub sightings within the bustling Balule; a reserve that takes pride in its high density of leopards. If you’re one of the lucky ones, you might catch a fleeting glimpse of rosette-patterned beauty moving swiftly through the feathered grasses carpeting the Balule traverse. These felines are notorious for wanting to remain in the shadows, and do what they can to evade being detected. Whether it’s scaling leadwood trees, darting for cover in drainage lines or hiding in tall, spears of swaying grasses; one thing’s for sure – leopards are elusive! It’s not out of fear, it’s just instinct. It makes sense, given that they employ the art of stealth as a their hunting techniques; and they don’t have the protection of a pride. It takes a trained eye to find a leopard at ground level, especially during the summer season when the landscape is lush and bursting at the seams with greenery. They’re also constantly on the move and don’t laze around like lions do, so their position is never guaranteed. With lions, it’s far easier to spot 5 bulky bodies, as opposed to spotting 1 small highly-camouflaged and agile individual! When not darting effortlessly between drainage lines, leopards are scaling tall tambuti and leadwoods to find hanging hideaways where their predator competition can’t locate them. I think we’ve proved our point that leopards are hard to find! It’s part luck, part tracking skill coupled with experience that sees us sitting on the edge of enthralling leopard sightings. Leopards are territorial, but do cover a large home range, and we can’t be everywhere 24/7! 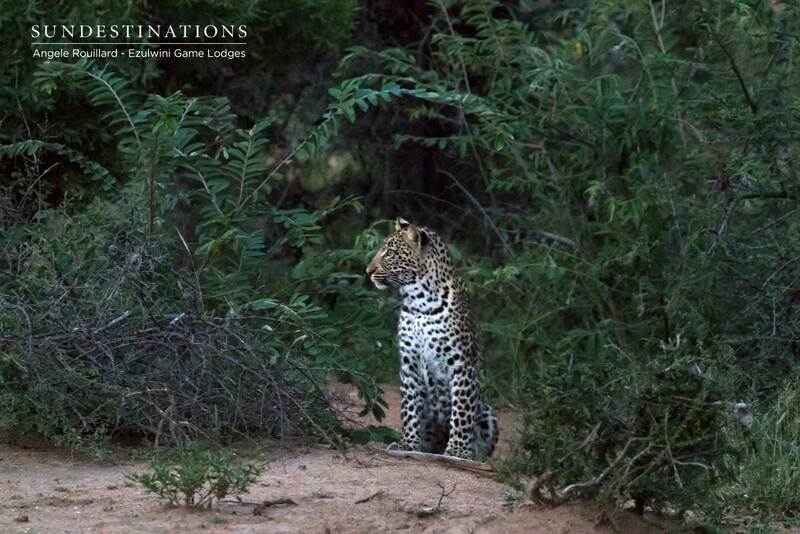 It’s abundantly clear that guides and trackers from Ezulwini Game Lodges possess the magic needed to find the leopards of the Balule. There are the “common residents” and those we (hesitate) to call locals, but they often disappear as quickly as free beer at a wedding. Ezulwini’s recent leopard sighting of a newly independent leopard cub (sub-adult now) takes centre stage. As mentioned above, he was initially spotted last year. Over the past few months, there have been a few more sightings of him. There is a natural assumption that his father is none other than local legend, and ever charming Chavaluthu. Neighbouring lodges reported that Chav was seen mating with the youngster’s mother within the perceived time frame. Angele initially speculated the cub was 10 months old, but has now confirmed that he is slightly older. In recent weeks the cub was spotted with a very skittish seemingly older leopardess, which was later identified as Thuli (born in 2016). It was thought that Thuli and the cub might share the same mother, but this theory has since been abandoned. Both Thuli and the sub-adult are unrelated. Ezulwini does have a high density of leopards in the area, so it’s quite possible that the traverse provided a temporary home for newcomers pushing boundaries. 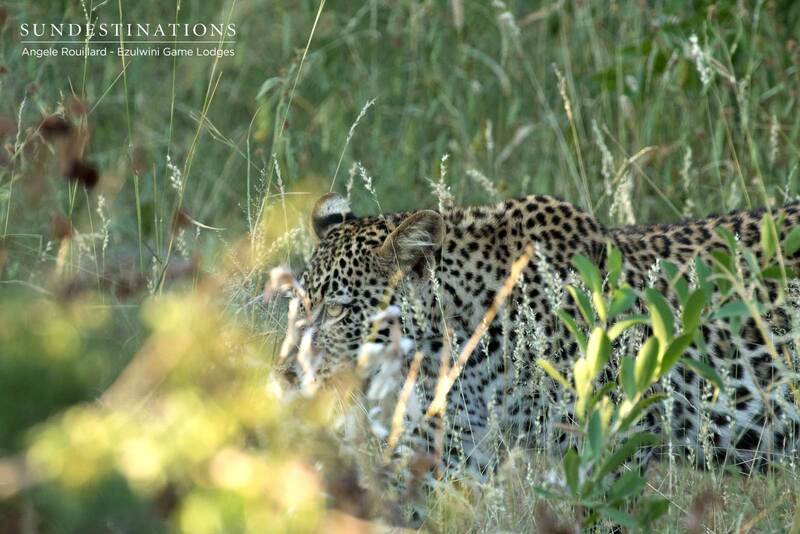 Whatever the circumstances, guests have enjoyed incredible leopard sightings over the past few weeks ! 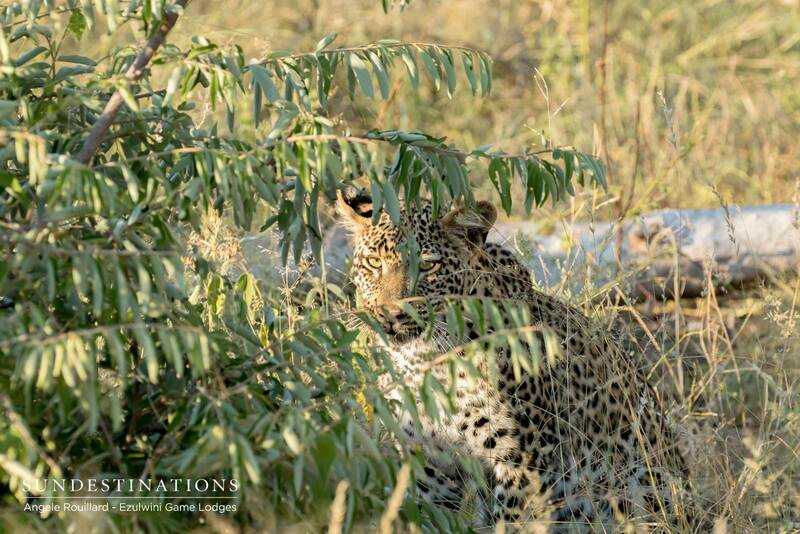 There was the sighting of this youngster, 2 unknown leopards, and a perfect visual of Thuli devouring a kill in a tree. Not bad going hey? It can be very tricky trying to establish the bloodline of leopards and their exact origin. Leopard ID kits are created, and from here we observe, watch and document behaviour. And then neighbouring lodges are consulted and information shared. 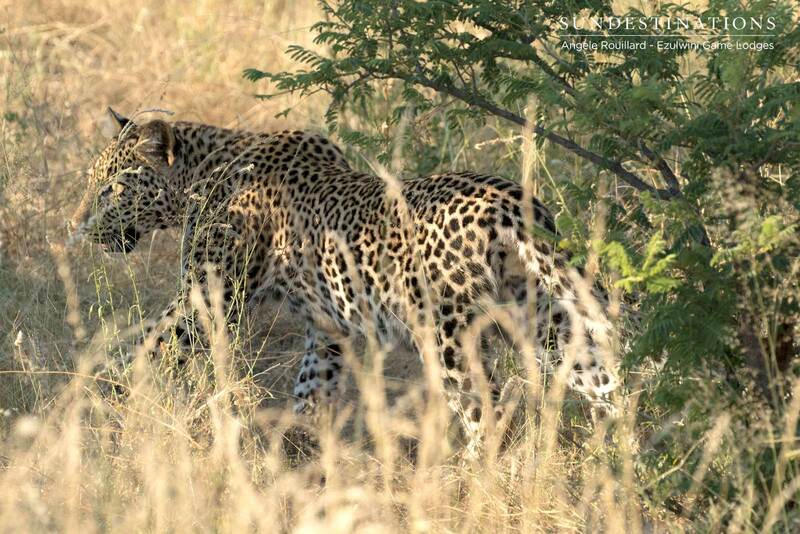 When further information about the young leopard is discovered, we will be sure to share with the fans of the Balule !